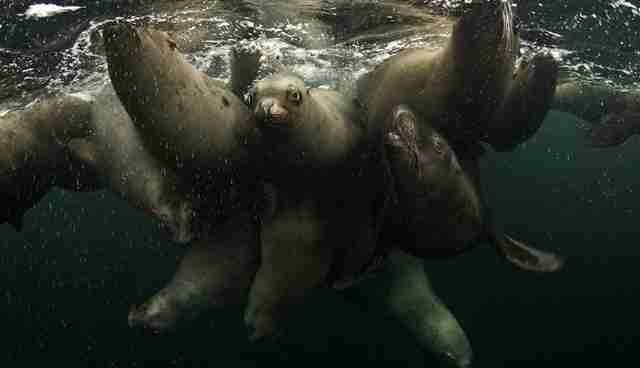 As I came up from a rollicking dive with at least forty 700-pound stellar sea lions, this crew formed a sea lion bouquet, a lasting gift from my time spent with them. 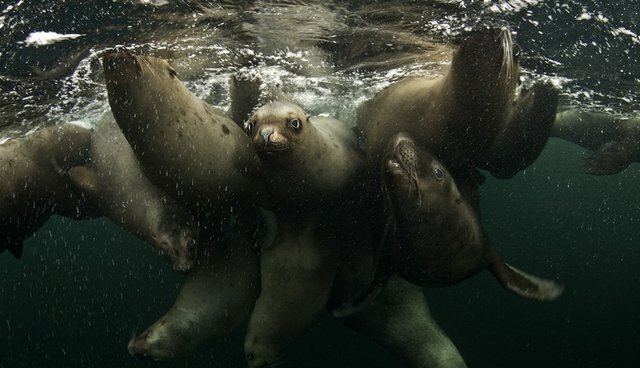 Professional underwater photographer, Richard Salas, is gearing up to publish the third and final book, "Luminous Sea," of his breathtaking underwater photography series of which he will donate 50 percent of the book's future profits to The Ocean Foundation. "Spending hundreds of hours underwater collecting images for these books has changed me, and I now have a strong bond of kinship with these animals," he says.